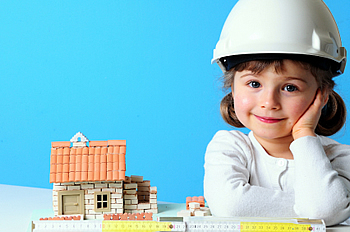 Should Your Hire A Project Manager For Your Reno? Especially when a reno project is involved. Your reno budget really begins with your negotiation with the seller, doesn’t it? Then, it continues through the settlement period, council approvals for the reno improvements, and all the rest. But the reno process itself is especially prone to, well, disasters of one kind or another. And even experienced reno investors know that nothing is certain and that delays and cost overruns are typical. Even the weather can seem to conspire against you and cause costly delays and run up costs. So one consideration that most investors don’t consider straightaway is hiring a project manager to manage your reno project from start to finish. But it might bloody well be worth it! They hire a property manager to do it for them. Their time is more valuable finding other deals or being with their families or whatever else. So usually, a property manager is just part of the cost of owning property. The same logic applies to a reno project. Because, as I say, renos almost never go according to plan. Whether it’s delays in getting the right materials or simply adjusting the schedule due to an out of code electrical issue. And other such things that you didn’t count on when you did your cost analysis. And did not add the amount of value that they should. For instance, how many days away from your regular job will a reno cost you? How much marital stress will it cause? How much extra money will be coming out of your pocket? It’s also the lost opportunity cost. If it’s a chunk deal, ever week delay is a week’s worth of interest lost, or worse, the lost opportunity of picking up your next deal. For all these reasons, and a few others I’ll talk about, hiring an experienced reno project manager can be the smartest move you make in your reno project. On a $100,000 reno project, that can be a lot of money! So you’re not taking a shot in the dark, so to speak, on your reno labor. Talk to at least three, and get their price quotes and references. Talk to other people they’ve worked for and on what kinds of reno projects. Hopefully, they have done your kind of reno many times before. Also determine if any of them have ever been found negligent in a complaint or lawsuit. Choose the project manager based upon his references, his reputation and his experience with your kind of reno project. Don’t let price by the determining factor! Add a bonus if it is completed and fully approved ahead of time. If he proposes to eliminate or change a part of the reno project, give his recommendations careful consideration. And your spouse will thank you. And most of all, your reno project will be completed faster and probably better.